1. Pumpkin custard (from a local place called East Coast Custard)-can you say pumpkin, cinnamon, pecans, marshmallows and nutmeg? Divinely rich and soooo fall. 2. Learning how to make chunky applesauce and apple pie (can't wait to use up all of those apples). 3. Channing Tatum in the movie/book DEAR JOHN. I may or may not have watched it three times. I may or may not be hard up from hubby being gone (he'll be home TOMORROW). 4. 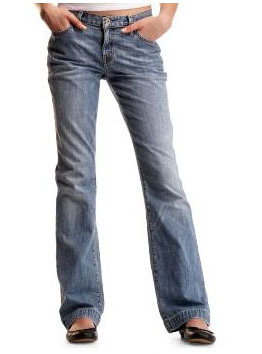 My new Long and Lean jeans from The Gap (mine are in a darker wash, and fit me like a glove). Um, yeah, Channing in Dear John...not good if you're wanting your hubby. Hah. New jeans, me need me to get a pair. The custard looks absolutely divine. I haven't made any homemade apple sauce yet, but I do have a whole bag of apples in the frig. - maybe this weekend. I love jeans and a hoodie weather! But now I miss Seattle. Yay on hubby coming home tomorrow! Mmm yum! I had a pair of long and leans awhile back... I wonder if they'd still fit. You have to check out the pumpkin ice-cream at Mitchells...it's sooo good! And I love Gap's long and lean jeans...I may own six pairs (shhh!). I have the dark rinse too, but they fade so fast. They're one of the only pairs of jeans that I can find that fit short me good. I love pumpkin everything and anything! Hmmm. I'm hungry now. You have a good w/end too. That custard sounds yummy. Homemade applesauce is the best. Mmm, now I want a pumpkin spice latte. Nothing like a great pair of jeans. I'm loving BDG's ankle cigarette jeans right now. I'm short, so the ankle versions hit just right as a normal pair of skinny jeans for me. Haha. Oh how I want to try that ice cream!!!!! 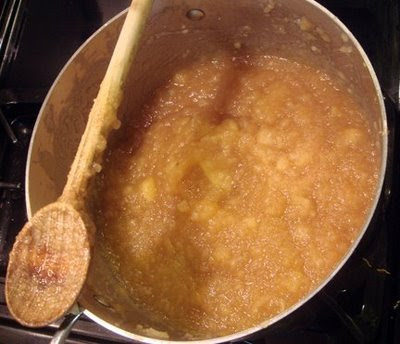 I die for homemade applesauce and make it often! It makes the house smell like Fall. One question. How the heck do you eat pumpkin custard and fit into cute jeans????? Those jeans are freaking adorable! Dear John is SO good. I really loved that movie -- really tugged at my heartstrings. I so desperately need new jeans! Mine are too big! Yay! I love that. I am going to make some pumpkin muffins next week. I am going to try and slim them down a bit. I am looking forward to Halloween. I love to see the kids all decked out. I get dressed up too. It's loads of fun! The pumpkin custard looks delicious, and I love homemade applesauce. I have some apples picked fresh here in NC and need to make some! Those jeans look great! Reminds me I need to get some, although I won't look that good in them! Yum! I can't wait to start making my apple pie. I love this time of year! Nom, I love custard but I've never seen pumpkin custard - I want! (I'd also take a side of Channing). Fun idea for a blog post, I might borrow your theme if you don't mind. Fall is one of my favorite times of year and there are so many things that make me happy around this time! Homemade applesauce is always the best! I haven't heard of pumpkin custard but it sounds good & a great way to get some extra vitamin A! That custard looks to die for! YUM! Nothing like getting a great pair of jeans that fit you well - it's a great feeling! omg. i think i love all the things you love.